This is a free vintage illustration edited from an antique easter postcard from my own personal collection of vintage postcards. 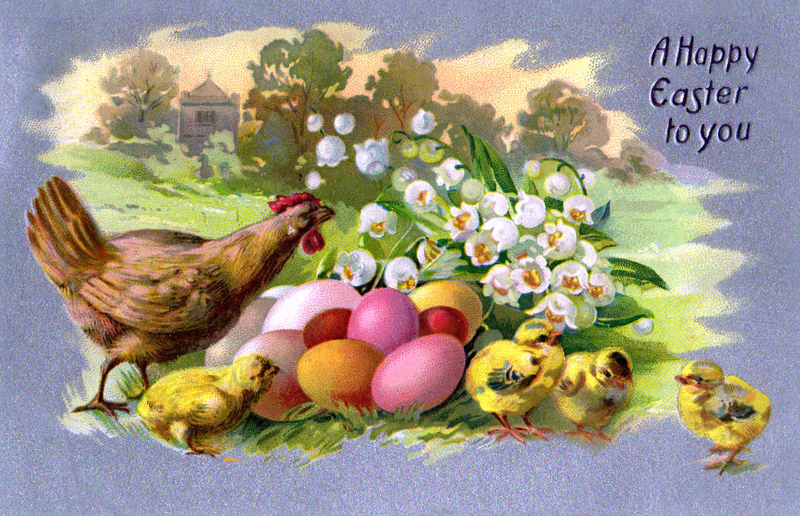 This image features colorful easter eggs, traditional yellow chicks, and easter flowers. This image is free to use in personal, commercial, and educational work, provided that a link back to FreeVintageIllustrations.com included on your website or blog if you share the image online.